At the start of the publication '42 Ura no Koritoriuta', the Forty-two Bay pilgrimage book of songs, there is reference to the famed 'warrior monk', Musashibō Benkei. What's the connection between Benkei and the Forty-two Bay Pilgrimage? 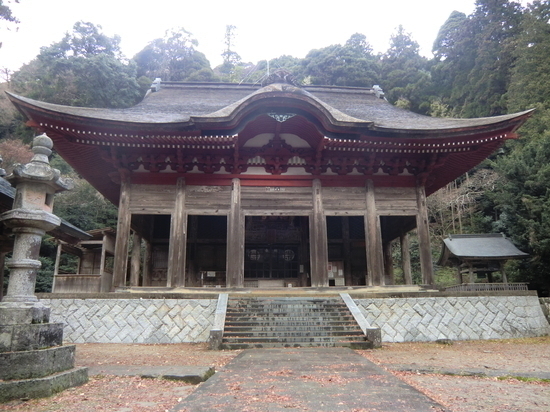 It's the renowned San'in region temple, Furousan Gakuenji. The temple is part of the Tendai school of Buddhism. According to temple records, it is said to have been founded by the monk Chishun Shonin during the reign of Empress Suiko (592-628). Strangely enough, there is no mention of the temple in the Izumo Fudoki (ancient records of Izumo, compiled in the year 733). However, among the temple treasures is the bronze Kannon Bodhisattva statue dating back to the 6th year of the reign of Empress Jito (692). This indicates just how long Gakuenji has been in existence. 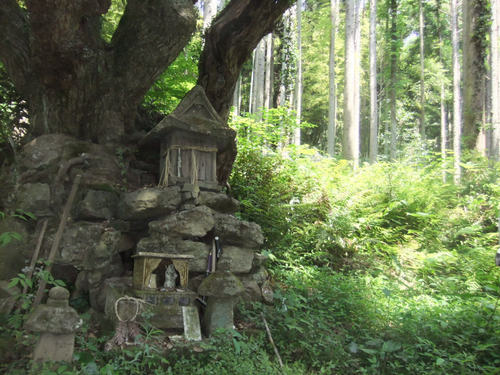 The syncretic sect Shugen, which combines various elements such as mountain worship, esoteric Buddhism, and ascetic practices was common particularly around the Furou Waterfall. Then, over time, it spread and developed following the integration of the Kannon and Yakushi beliefs. In the Heian Period (794-1185), under the doctrines established by the Tendai founder, Jikaku Daishi, Gakuenji became a branch temple. During the Kamakura Period, syncretism with Izumo Ōyashiro was established and the temple achieved new heights of prosperity under its status as a 'betto-ji' (a temple attached to a shrine conducting Shinto rituals in accordance with Buddhist practices). 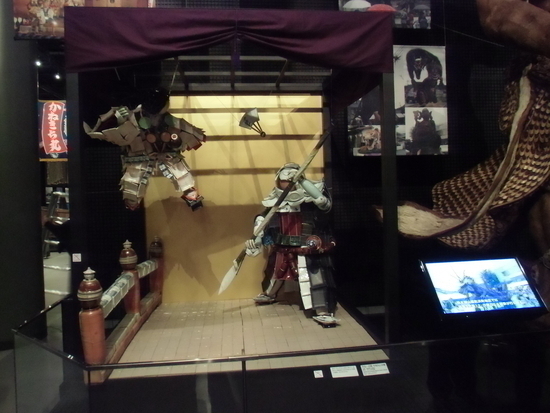 Legend has it that Benkei was born in Nagami, on the north shores of Lake Nakaumi , east of Matsue. He is said to have engaged in ascetic disciplines at Kezoji Temple of Mt. Makuragisan , Chosuiji Temple in Fukuhara, and here in Gakuenji. It's as if the footing left by the young Benkei during his strict training became the course through the mountains on the Forty-two Bay Pilgrimage route. Could the relationship between Benkei and the Koritoriuta have come from so far a point? Today, in Nagami , the spirit of Benkei can be felt in the roadside station, Honjou, a rest area dedicated to the legend of its famous son. When visiting Gakuenji in the autumn, the trees had already shed their leaves. It brought to mind the poet Basho's farewell verse , " Falling ill on a journey, wandering dreams, desolate fields of dried grass and leafless trees." Without foliage in the foreground, it was easy to imagine how the temple must have looked in its glory days , with each section of the building arranged in orderly rows. The magnificence of the main hall of Gakuenji equals that of temples in Kyoto and Nara, all of which rightly deserve to be referred to as 'kosatsu', a term of reverence accorded to old temples. 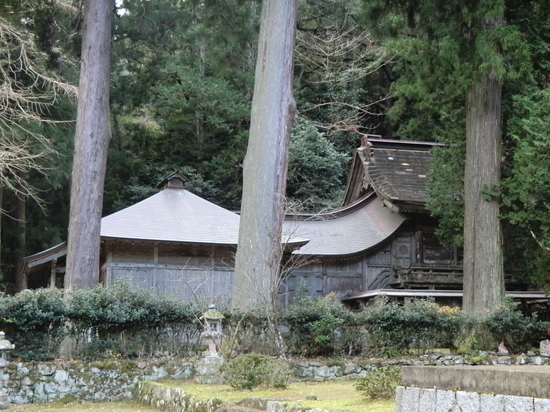 On a raised area to the left of the main hall is Mataira Jinja Shrine. Unlike Nara where shrines are always found clearly partitioned from temples within the temple grounds, one is able to truly feel the concept of 'Buddhist/Shinto syncretism' here. In addition, Edo period temple architecture and abundant treasures can be found within the grounds of Gakuenji. Archaeological excavations have unearthed well-preserved features and relics which exemplify the prosperity enjoyed here during the Middle Ages. This won approval for Gakuenji, as a representative mountain-forest temple of the Chugoku region, to be designated a National Historic Site on March 1st, 2016.